At Dian Instal·lacions we aim to inform our customers of the key factors to take into consideration to achieve optimal energy efficiency in the home. Energy efficiency cuts bills and benefits the environment. Between 25% and 30% of our heating needs are the result of heat losses through windows. Perform a check, and improve your insulation if you find any shortcomings. Although the sensation of comfort is subjective, it would be fair to say that in winter a temperature between 19° C and 21° C is sufficient for most people. At night it is enough to keep the temperature at between 15° C and 17° C to feel comfortable. Under normal conditions it is enough to turn the heating on in the morning. At night, except in very cold regions, the heating should be turned down, as the heat which has built up in the home is typically more than enough (above all if blinds and curtains closed). 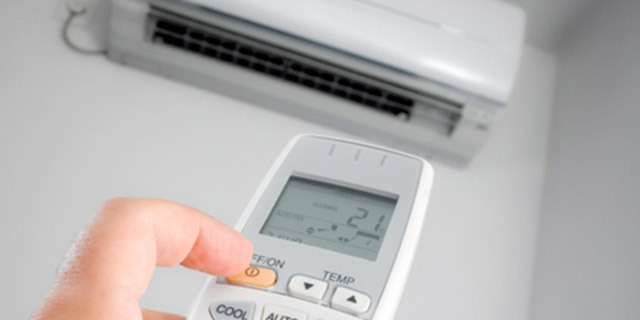 The energy consumption of your heating system will depend on the temperature you set the heating to. For every degree you increase the temperature, energy consumption rises by approximately 7%. If you are out for a few hours, turn the thermostat down to 15% (the “economy” position on some models corresponds to this temperature). If you have rooms that are empty or little used the temperature could be reduced, or you could even turn the radiator off at the valve or switch off the heater. Boilers should be regularly serviced. An annual service at the start of the heating season is advisable. A dirty boiler has its combustion hampered, which increases consumption. Do not wait for your equipment to break down: proper maintenance of an individual boiler can achieve energy savings of up to 15%, equivalent to more than 100 euros per year in fuel. Air inside radiators hampers heat transmission. They should be bled at least once a year, at the start of the heating season. Once no more air emerges and water begins to come out, the bleeding process is complete. If you replace electric radiators with heat accumulators or heat pumps, that could substantially reduce your electricity bill. In terms of comfort, the best place to position radiators is below windows, with a radiator the same length as the window itself to improve the diffusion of hot air throughout the room. It is very important to install a heating regulation system which adjusts the temperatures of your home to your needs. Programmable thermostats are affordable and easily installed solutions which will quickly pay for themselves through the substantial energy savings they generate (between 8% and 13%). For hot water radiator and boiler systems, one simple procedure to maintain the desired temperature in every room is to fit thermostatic valves to the radiators themselves. In cases where the home is empty for hours at a time, it could be advisable to replace a standard thermostat with a programmable device, allowing the temperature to be set for different time bands, and even weekends or particular days. There are also centralised control and regulation systems on the market, known as domotic systems. They can distinguish between different zones, record data and issue alerts in the event of a breakdown, and also incorporate intruder alarms, comfort and equipment management functions, including remote control.